When visiting in Berlin, there is no shortage of fun activities and places to visit. 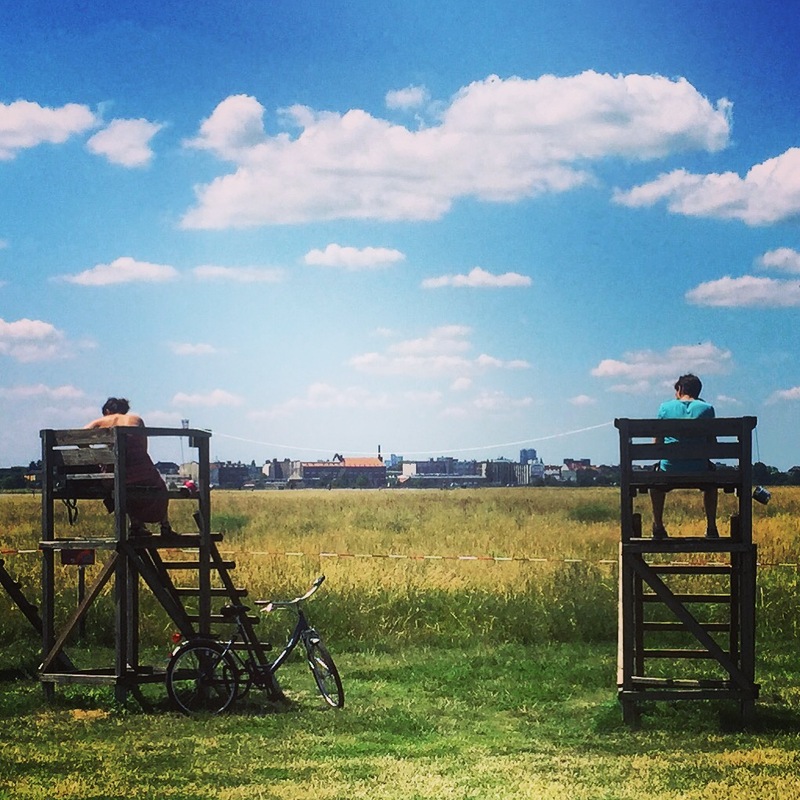 However, if you would like to connect to the local lifestyle and explore a truly unique place, we recommend you EXPLORE TEMPELHOFER PARK AREA. 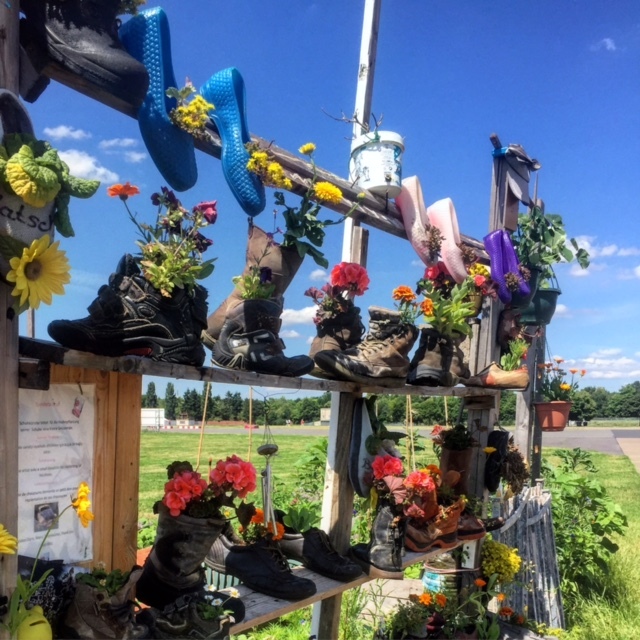 This place is a mix of abandoned Airport, park, running and bike track, picnic area, community garden. All in one giant space. In the middle of Berlin. This enormous area was once home to Tempelhof Airport (completely closed off in 2008). Since then, the area has been taken over by the local population. 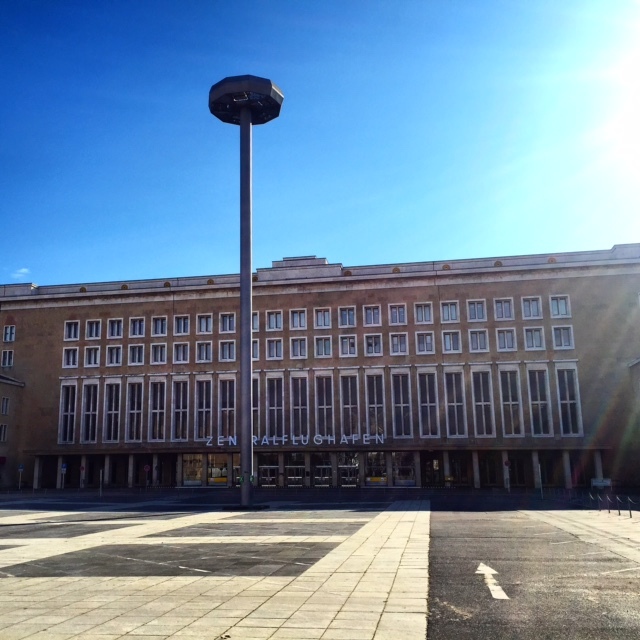 The huge airport building is currently partially used by some businesses and events like concerts and fairs are held here. In fact, if you have a chance to experience a concert at behind the airport building, we highly recommend. The airport’s design and architecture is super interesting and is worth a walk around. For more info on its history, interesting facts, etc. please click HERE. You can also visit the building with a guide (tours available in English). Get more information on the tours HERE. There are currently plans to transform part of the airport building into a visitor’s center with restaurant, café and a huge terrace on top. Locals are also working with the government to determine how the whole area can be developed without losing its character and charms. Stay tuned. Beyond the building, it is also fun to explore the fields, runways and the urban park it has become. Ideally, to visit the grounds, one would get on a bike. If you are in good shape, walking/jogging can also be super fun. In fact, locals use the runways for sports practice. It can get quite windy, as the park area is pretty much covered in grass and very few trees. That is also the reason you will find many people practicing wind surfing sports. If you would like to jog, we suggest going around the whole field for a longer run. 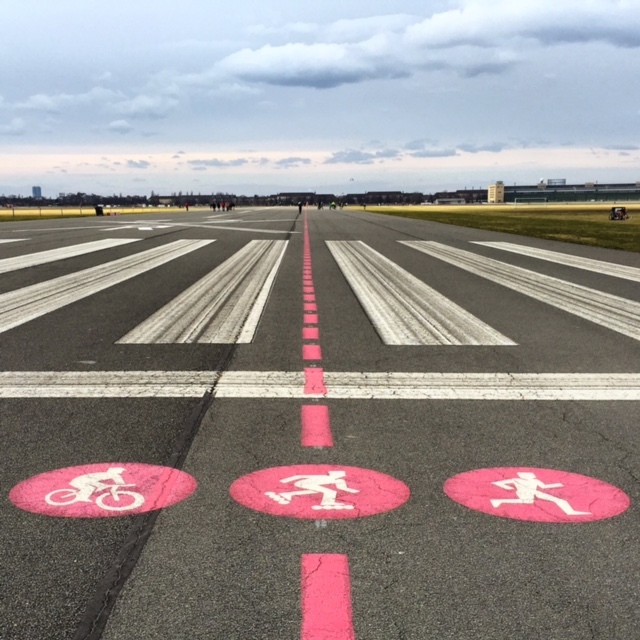 If you would like to do a short run, try running back and forth on the airport runways. Check out the map and you’ll understand what we are talking about. If you want to chill head to one of the community gardens located inside the park. 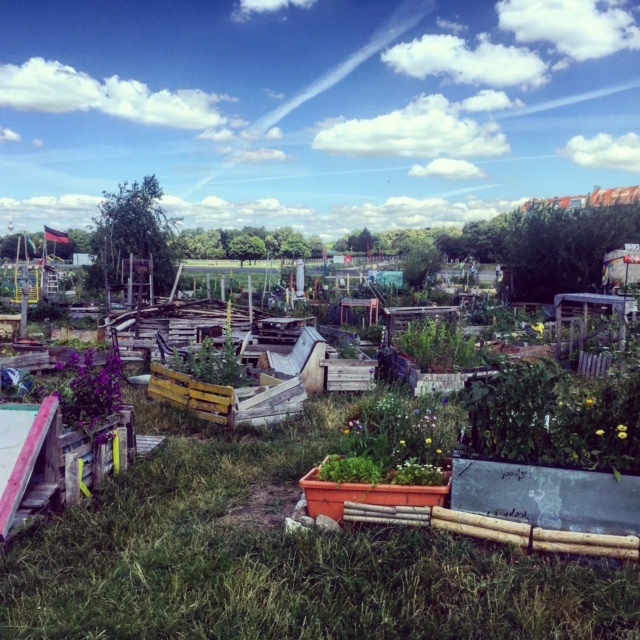 Our favourite BY FAR is the “Gemainschaftsgarten Allmende Kontor” located on the east end of the park, close to Oderstrasse on the Neukölln side. Here you can find a bench or chair or sit on the ground and relax among the sea of plants and funky coolness. Just chill. Take a book or mingle with some folks. A great idea is to come here for sunset during the warmer months. Bring your beer and have one of the coolest sunset experiences ever! The park is busier during the weekends with families picnicking, weekend sports folks and events. When you should go depends on what type of experience you are looking for. For a more “chill” experience try going during the week. Good weather is imperative. Otherwise you may want to try some other cool activity around town. Address: There are obviously many entrances one can use to get into the park and building area. We suggest you start with the airport building visit and go from there. Therefore your best bet is to take the Subway to Platz der Luftbrücke Station. Map below.